The site is near Yamuna River and the water table present there is very close to ground surface, HCL wanted to make a commercial building and due to the heavy weight of the commercial building there will be high buoyant force will act upwards which will lead to uplift of ground surface. 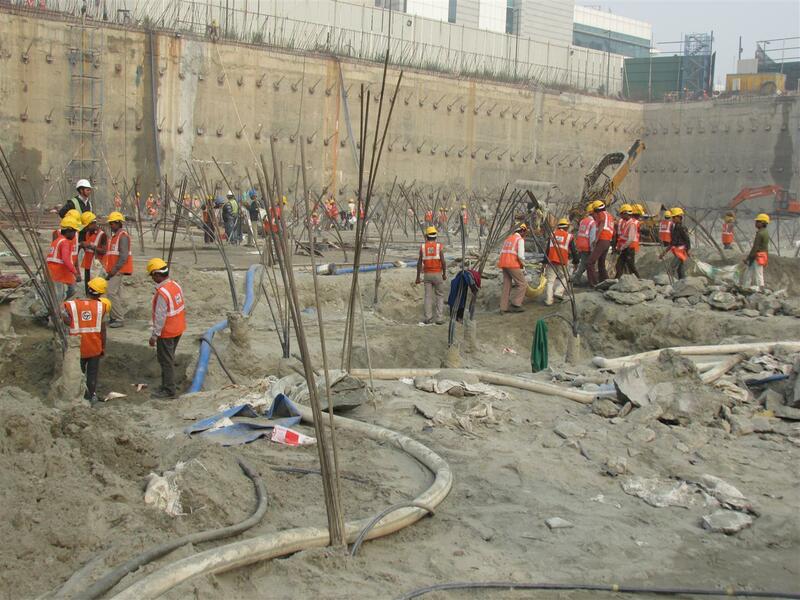 Therefore, the task of countering the uplift of ground is entrusted to Spar Geo Infra Pvt Ltd. The uplift of ground will be stopped by installation of Vertical Ground/Soil Anchor. The anchors were of 21 meter length out of which 9 meters was bond length and 12 meters was free length. The capacity of anchor was 60 tons and spacing of the anchor was kept 3×3 meters. The water table present was very near to the ground surface therefore de-watering has to be carried out because water was not allowing grout to set. Grouting of anchor is done by using new innovative technology known as Tube-A-Manchette grouting was used with polymeric grouts. 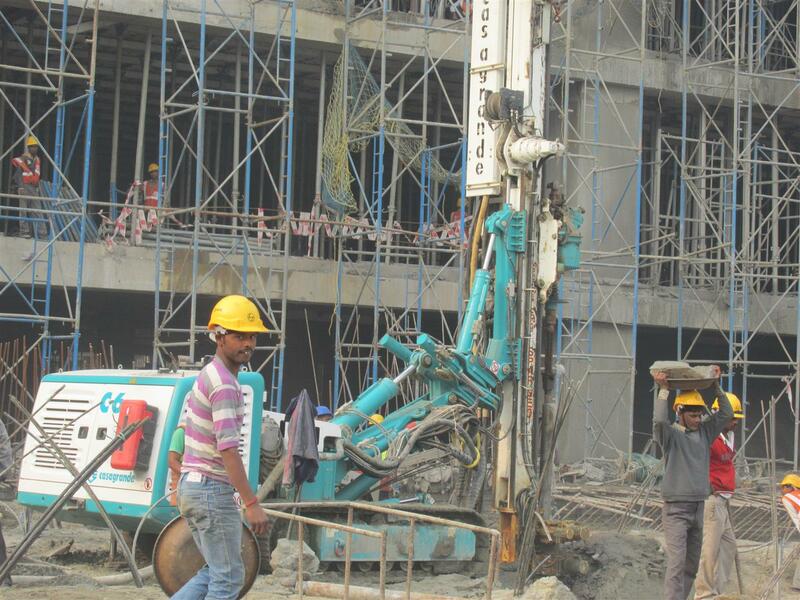 The installation of anchors in vertical downward direction along with proper grouting technique vanish the chance of uplift of ground and zero magnitude of uplift is observed after completion of commercial project till now.